Elections and politics are pretty hard to miss right now, which is why we’re adding a little more to the mix. 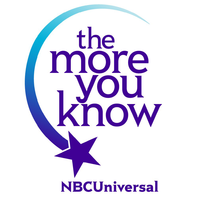 So you’ve heard the famous lines, “Knowing is half the battle,” or as NBC promotes, “The More You Know”… well ImpactCR’s Civic and Community Action Committee feels the same way. Next Wednesday, October 24 from 6:00 – 7:30 p.m., ImpactCR and the Linn Law Club are hosting the Judicial Retention Forum at the National Czech and Slovak Museum. First things first… What is a judicial retention election? Basically judges do not have an opponent, but at the end of their term of office, voters determine if they would like to keep a judge in office for another term. So… what makes a good judge? According to the Iowa Judicial Branch, who probably has a pretty good idea about this, integrity, professional competence, judicial temperament, experience and service. So now that I know what I’m attending… who’s going to be there? Justice David Baker, Steve Pace, Matt Dummermuth and Pat Baird are going to be on the panel and your moderator will be Adam Carros from KCRG. At the forum, each panelist will have an opportunity to introduce themselves and then it’s up to you, the attendees, to ask questions. Make sure that you bring some ideas with you, or have them written down. This won’t be an open mic, so no worries about that fear of public speaking. 😉 I look forward to seeing you all there!